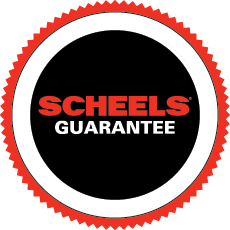 The Latest Outerwear Styles – all at SCHEELS. The colder months are around the corner, and while we’re enjoying fall (finally! ), we can’t help but start shopping for our favorite winter outerwear styles. This year, you can warm up the winter season in outerwear that you’ll WANT to wear, not something you have to wear. Seriously, the new 2018 styles are adorable! From Canada Goose jackets, to Patagonia, The North Face, Lole and Columbia, you’ll love what we have in our winter outerwear collection. Paired with fashionable SOREL wedges or boots, your outfit will be ready to take you through the whole season; in style. Find more outerwear inspiration by following @ScheelsStyle on Instagram. Use #ScheelsStyle to share your style and for a chance to be featured on our @ScheelsStyle Instagram page. Shop all of your favorite outwear styles online here. From the grocery store to the coffee shop and yoga studio, the latest outerwear styles will have you feeling fashionable all season long, for any activity.